We’re once again openly wondering what the point is for the NBA to release its two-minute report on officiating the day after every regular season game. Unless it’s a blatant bad call or non-call, can’t we just enjoy a dramatic walkoff win without somehow getting bogged down in the politics of it all? 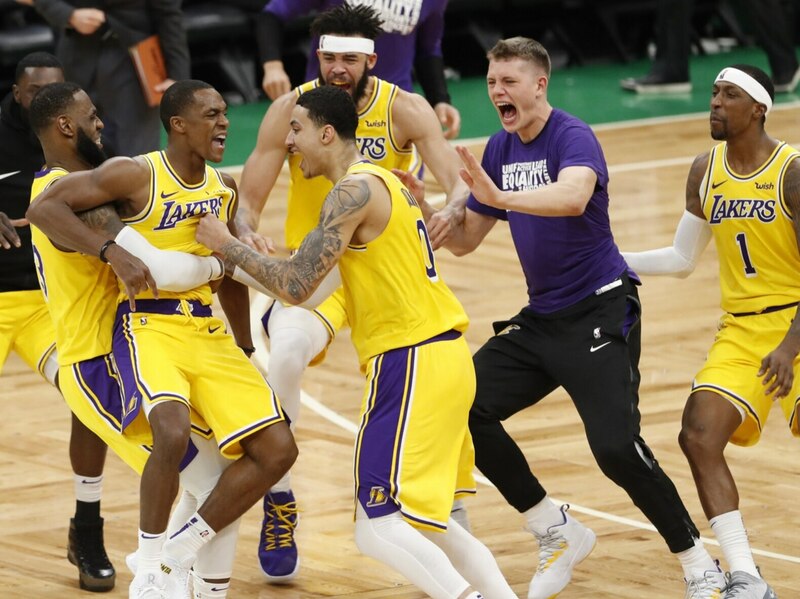 The latest example of this is the NBA’s report on Thursday night’s stunning Los Angeles Lakers win over the Celtics in Boston. Down by one late in the fourth quarter, Lakers guard Rajon Rondo burned his former team with a game winner at the buzzer from 20 feet out. This came after Celtics big man Al Horford blocked a Brandon Ingram layup attempt. The ball bounced around for a while before Rondo corralled it. In hindsight, the NBA’s report on Friday notes that officials should have called a moving screen against Lakers big man Tyson Chandler — negating the game-winning shot and Rondo’s redemption. That’s all great. Chandler might have committed a moving screen. It wasn’t called. It wasn’t blatant. Exactly what was the point of referencing this nearly 24 hours after the game tipped off in Boston? Yeah, we’re wondering the same thing.